In order to protect the sensitive electronic equipment inside the enclosure, a properly selected and manufactured gasket is critical. 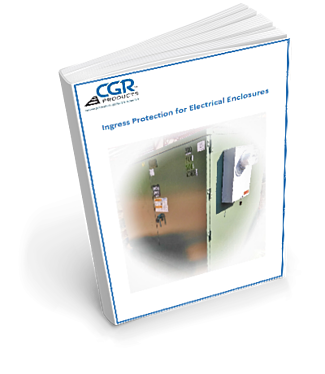 With over 50 years working with enclosure manufactures, CGR Products created the Ingress Protection for Electrical Enclosures eBook to provide valuable information to bring projects to life. * Industry Standards and Industry Testing. Simply fill out the form on the right to gain access to your free copy and save it for your records.